Despite the country’s current trade showdown with the US, China looks on course to dominate the industrial robotics market of the future, as Jessica Twentyman explains. When the White House unveiled its list of proposed tariffs on Chinese goods in early April, it was no surprise to see robots on the list of goods that may soon be subject to 25 percent US import charges. After all, in its efforts to force China to change its intellectual property practices, the US government has made no secret that it has that country’s Made in China 2025 strategy squarely in its crosshairs. First announced in 2015, this strategy outlines Beijing’s aspirations for the world’s most populous nation to dominate the global economy of the future, in areas such as electric vehicles, satellites – and industrial robots. It’s no surprise then, that in the current trade showdown between the two nations, the US is aiming to hit Beijing where it hurts, by undermining those ambitions. In the area of industrial robots, in particular, China is making impressive progress. Conditions are ideal in that country for building a thriving robotics industry, serving both the domestic and overseas market. First, the government doesn’t stint on offering generous tax breaks and subsidies to robotics startups. Second, these companies have the potential to scale up quickly, because the domestic market is so large and its economy so heavily industrialised, but thus far only patchily automated. Third, Chinese manufacturers are under pressure to automate, from the government and in order to compete with other low-cost manufacturing markets, which is creating huge demand for industrial robots to boost efficiencies and lower costs. All this means that ambitious annual goals set by the Chinese government for the manufacture of industrial robots don’t look unreasonable: 150,000 produced per year in 2020; 260,000 in 2025; and 400,000 in 2030. If achieved, the plan could generate $88 billion over the next decade. At least some of those revenues can be expected to come from customers abroad. In February, three-year-old Chinese robotics start-up Geek+ Robotics, which builds robots for warehouse environments and works with major Chinese retailers and logistics companies, announced it had achieved the CE Mark approval for its systems that it needs to expand into Europe. But growth in Chinese robotics systems isn’t just about promising startups. Despite the government’s aversion in recent years to outbound cashflows, Beijing seems prepared to make an exception when it comes to Chinese companies buying robotics companies from elsewhere. In 2016, for example, the Chinese consumer products manufacturer Midea acquired Kuka. In recent weeks, Kuka CEO Till Reuter has reiterated the goal of becoming “number one in robotics in China”, and the two companies have announced plans to build a ‘robot park’ in Midea’s home district of Shunde, in Guangdong Province, with capacity to produce 75,000 robots and AGVs (automated guidance vehicles) by 2024, according to Reuters. Other key M&A transactions over the last couple of years include ChemChina’s 2016 takeover of German company KraussMaffei; Chongqing Nanshang Investment Group’s acquisition of HTI Cybernautics of Sterling Heights, Michigan in October 2017; and in November last year, Huachangda Intelligent Equipment’s purchase of Robot System Products, a 2003 spin-off from ABB with 70 employees in Sweden, Germany, and China. In short, China looks on its way to becoming a robotics powerhouse – both as a buyer and a seller – and numerous statistics back this up. On the buyer side of things, there is its ‘robot density’ to consider. This is a measure based on the number of robot units per 10,000 workers in a nation’s manufacturing sector. According to the International Federation of Robotics (IFR), China’s development of robot density “was the most dynamic in the world” during 2016. Due to the significant growth of robot installations, the density rate rose from 25 units in 2013 to 68 units in 2016, the IFR report notes. While today, China’s robot density ranks at only 23rd worldwide, say the authors, “the government intends to forge ahead and make it into the world’s top 10 most intensively automated nations by 2020.” By then, China’s robot density should be more like 150 units per 10,000 workers and China will account for 40 percent of global robotics sales. And on the seller side, the Chinese government makes no secret of the fact that it would like the nation not just to become self-sufficient when it comes to industrial robots, but also to beat traditional sellers from elsewhere in the world to the biggest slice of global market share. 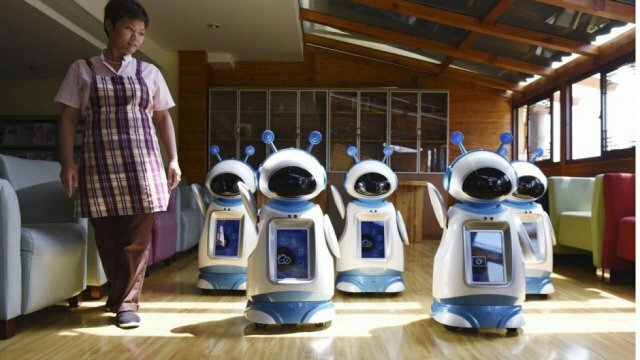 Certainly, China’s robotics bosses are setting their sights wider than the domestic market. The Robotics Industries Association in the US, for example, has recently announced its first Chinese member, the Siasun Robot & Automation Company. “We sought out a membership with RIA because we recognised that if we are to expand in North America and other countries, it’s important to have a relationship with an organisation that can offer the support and connections we need to achieve our growth goals,” said Dr Daokui Qu, Siasun founder and CEO. Right now, it’s far from clear what the final result will be of the trade war – or battle of words – that is currently underway between China and the US, but it seems unlikely to put a major dent in China’s robotics ambitions. 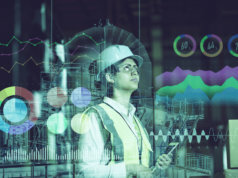 There can be little doubt that the country has an enormous part to play in the future of automated and smart manufacturing. As our recent report explained, China is automating faster than any nation on Earth, despite lagging one place behind the UK in industrial robot density, according to IFR statistics. But that is not to portray the UK in a positive light: Britain is only 22nd in the world league, a long way behind nearly all of its Western allies. There is no doubt that China will easily leapfrog the UK and secure its place in the world top 10 by 2020. Beyond that, it will have the number one spot – currently held by South Korea – in its sights. In 2016 alone, China purchased 66,000 industrial robots – one quarter of all the models sold that year worldwide. Each one is currently capable of doing the work of roughly 15 full-time human workers (and rising), meaning that China effectively automated one million human jobs in that year. But now it plans to build those robots itself and sell them to the world. China will also become the world’s AI powerhouse, too: with one major caveat. 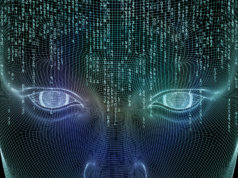 With no restraining order, in effect, on its use of citizen data – such as GDPR – and a very different attitude to civil liberties to that of Europe or the US, China might be able to train its AI better, but will nevertheless find that it has to make significant changes to sell its AI technologies into the West. However, the Chinese government is able to throw money at both its robotics and AI ambitions. For example, earlier this month it was reported that China now has the highest-valued AI startup in the world: the SenseTime Group is already worth $3 billion, and is being let loose on the Chinese population in the world’s biggest citizen surveillance programme – outside of Facebook – along with Face++ and other providers. Ironically, one of SenseTime’s backers is America’s Qualcomm, whose $44 billion bid for NXP Seminconductors has been held up by the ongoing trade hostilities between China and the US.